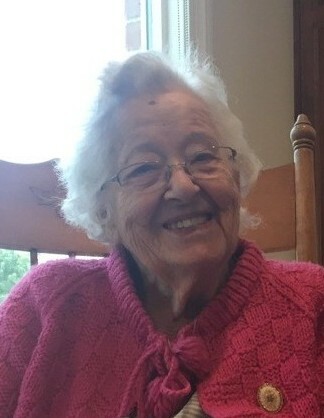 Dolores Ruth Arnold, age 99, of Caledonia passed away Thursday morning December 27th, 2018 in Marion General Hospital. Dolores was born on January 6th, 1919 in Canaan Township as the daughter of the late Harley A. & Alta F. (Middleton) Gray. On February 01st, 1935 she married Winton P. Arnold. Winton & Dolores shared 80 years of marriage until his death in December of 2015. Dolores was the oldest living member of Caledonia Memorial United Methodist Church, She was Past Worthy Matron of Vera Chapter # 64 Order of the Eastern Star, Past Chief, Esther Chapter # 90 Pythian Sisters, First Families of Ohio, First Families of Morrow and Marion Counties. Society of Civil War Families of Ohio, Morrow County Genealogical, Erie Lackawanna - ConRail Veterans Society. Dolores was a licensed practical nurse at Community MedCenter Hospital in Marion for several years. Dolores and Winton enjoyed traveling. They had visited every state in the union and at least sixteen other countries. She was always ready to help when help was needed, but her family was always her center of attention. She leaves behind her son Mark Arnold and his wife Kristine of Caledonia, two grandsons, Scott Martin of Georgia and Dr. Steven Martin of Thailand. She also leaves behind her great grandson Gregory Winton Martin. Dolores was preceded in death by her daughter Patricia Martin, three brothers and two sisters. Funeral Services for Dolores will be held at 10:30 on Monday December 31st, 2018 in the Memorial United Methodist Church in Caledonia with Pastors Terry Burkhardt and Tom Orr officiating. Interment will follow in Caledonia Cemetery. Friends may call on Sunday from 1:00 until 6:00 in the Timson & Melroy Funeral Home in Caledonia. 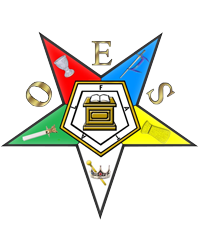 Eastern Star Rites will be observed at 4:00 on Sunday afternoon at the funeral home. Memorial Contributions may be made to the Kitchen Fund or the Trustee Door Fund of the Memorial United Methodist Church.